Creators of the "Heta Belarus, Dzietka!” and HiFive Belarus projects love Belarus with all of their hearts: they love its people, customs and traditions, cities and villages, as well as the local way of life. They look at typical characteristics of Belarusians through the lens of the phrase "Heta Belarus, Dzietka!” (This is Belarus, baby!). This utterance can be used to explain everything that seems weird or strange to foreigners in our country. Within the framework of Biz4all “Social Entrepreneurship Incubator” programme, "Heta Belarus, Dzietka!” decided to sell English-language tours around Minsk for foreigners. ODB Brussels took part in one of their tours on a sunny Saturday together with Inna Durysheva and Artsiom Bandura, who are the project tour guides, and Hanna Hrydziushka, the co-author and co-founder of “Heta Belarus, Dzietka!” and HiFive Belarus. We agreed to meet near the bridge to the Island of Tears (Island of Courage and Sorrow). 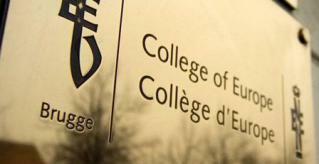 On 17 February the College of Europe (Bruges, Belgium) is hosting a presentation of the book "Heta Belarus, Dzietka!" This event is an opportunity to learn some little known facts about Belarus in a funny and entertaining way. One of the authors, Maryia Charakova will be present at the event to share her book story and speak about what inspired her. Presentation of the book is part of the National Days at the College of Europe that have been a tradition for at least thirty years. The ODB Brussels is delighted to co-sponsor the event! A special prize by the ODB will be given for the one the luckiest :) - the winner of a mini-lottery that is to take place after the book lottery. 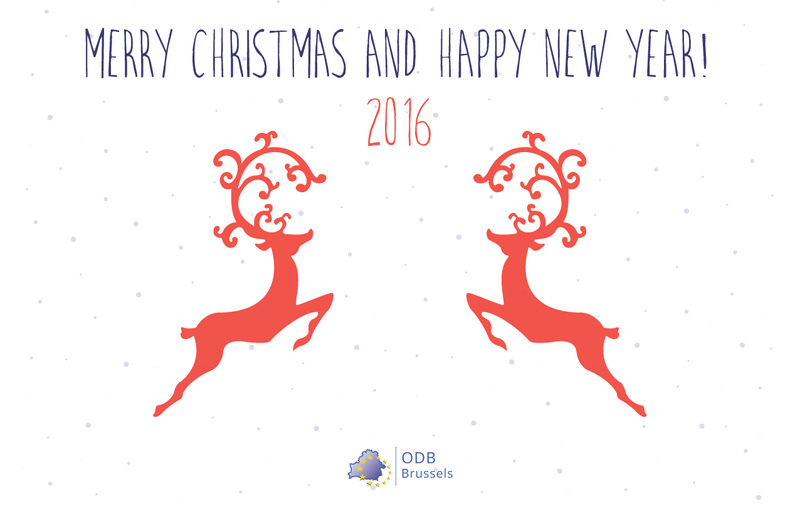 may this Christmas bring you everlasting peace and happiness, and the New 2016 be successful and prosperous! On the invitation of the Office for a Democratic Belarus, a team of contest winners of the competition "What Do I Know about Europe?" will travel from Belarus to Brussels and spend several days in the Belgian capital – and not only! Organised annually, this year competition marked its10th anniversary and was dedicated to the most remarkable dates of the Belarusian and European history. Through ten years of its existence, the contest has contributed to better understanding of the Belarus’ European history among Belarusian youth, promotion of culture and history of other European states, and the popularisation of democratic Europe and its values. Being Belarusian abroad is never easy. What usually follows is a long explanation of where Belarus is (in Europe, wedged between Poland and Russia) and what it is, or, rather, what it is not. Belarus is not Russia, Minsk streets are not full of roaming bears, and Belarusians (who are not Russians) do not drink vodka out of shiny “samovars” (neither do most Russians). Even a foreigner who had actually heard the name “Belarus” before would usually only recall a couple of other words like “Chernobyl” and “Lukashenka” and give you a consoling tap on the shoulder. But what is Belarus? We Belarusians have a hard time explaining this to our foreign friends - mostly because we often have only a vague understanding of our country ourselves. What is the origin of Belarus? What is Belarus famous for? How are Belarusians different from their neighbors? It takes a well-rounded scientist to answer these questions and a talented presenter to make them palatable for a foreign audience. Or, better yet, it takes a good book - and now we have one. “This Country Called Belarus” is an English-language version of a long-time Belarusian besteller by Uladzimir Arloŭ, renowned historian, and artist Źmicier Hierasimovič. With 300 pages and more than 2,000 illustrations this book is a movie-like experience, taking the reader on a journey through Belarusian history, from dinosaurs and cavemen to the declaration of Belarusian independence in 1918. In fact, the only bad thing about this book is that it is so magnificent that one has a hard time giving it away as a present. Well, one can always buy a copy for himself - the books have just arrived in Belarusian bookshops. “This book is a status symbol,” Źmicier Hierasimovič, one of the co-authors, says. “An illustrated history of a country in English, the language of the international politics, business and science is a prestige object which any country can be proud of”. Historian Uladzimir Arloŭ believes that the book will be interesting to diplomats, scientists who deal with Belarus, foreign businessmen who work in Belarus, as well as those Belarusians who do business abroad or simply look for a good present to their foreign friends. The Office for a Democratic Belarus is happy to inform that a popular book by Uladzimer Arlou and Zmicer Herasimovich 'THIS COUNTRY CALLED BELARUS. AN ILLUSTRATED HISTORY' was published by the Slovak publishing house "Kalligram". 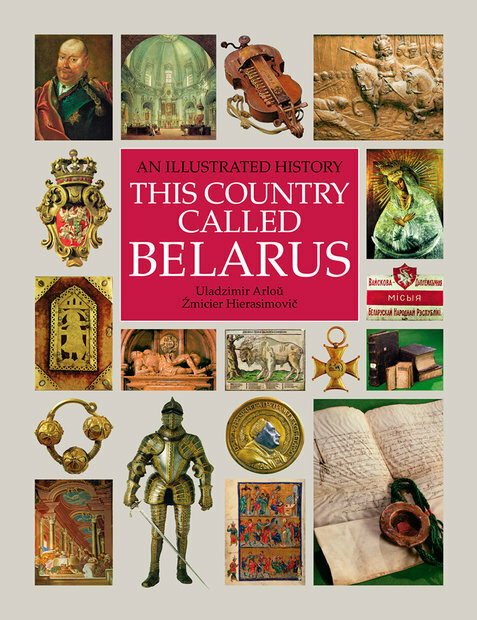 It is the first English-language publication of its kind dedicated to the history of Belarus prepared by Belarusian authors. The exhibition is available online. the Belarusian city of Hrodna. The audience representing local civil society organisations, journalists, students and other interested parties was deeply engaged with the debate on the current state of EU-Belarus relations, the visa liberalisation for EaP countries in general and for Belarusian citizens in particular. Stuzhinskya concentrated on the steps necessary: required for Belarusian authorities to foster visa facilitation and visa liberalisation processes. She also briefed the audience on the projects her Office is implementing in Brussels and Belarus, namely the Clering House which is intended to build the organisational capacity of Belarusian CSOs and enhance their cooperation and coordination with the European Union, European donors and international implementers. The second big project is the , designed to help Belarusian experts in different areas to establish contacts with their counterparts from the EU, learn about the experience of other countries of the Eastern Partnership and share their knowledge and best practices. 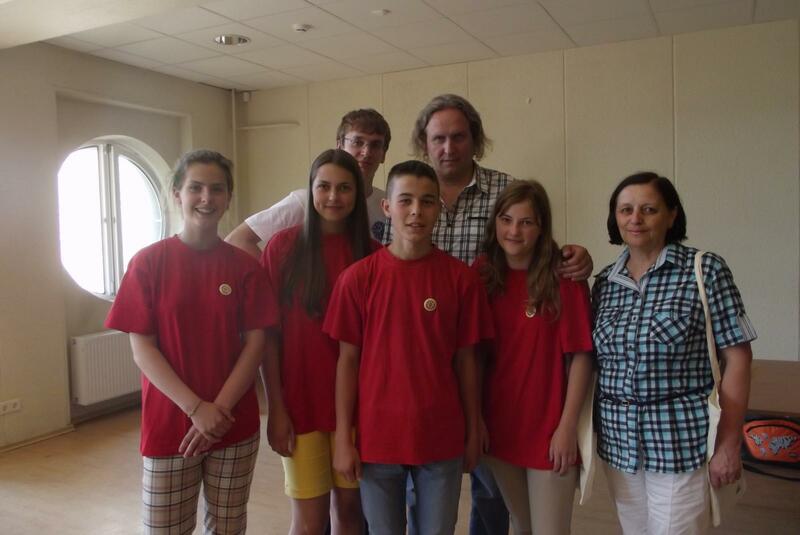 School Team from Brest Becomes Winner of Belarus National-Wide Competition "What do I Know about Europe?" 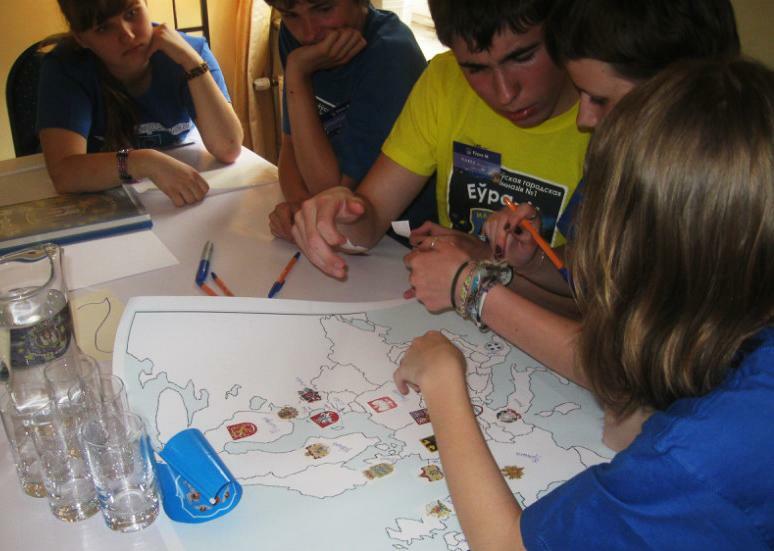 On June 27, the school contest “What do I know about Europe” ended with its final stage competition that was hosted by the Swedish embassy in Vilnius, Lithuania. 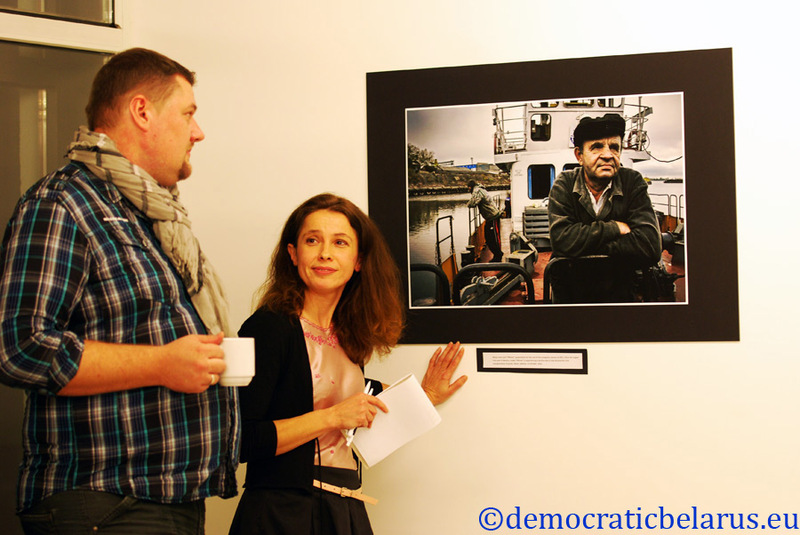 The Office for a Democratic Belarus was among organisers and co-sponsors of the event. 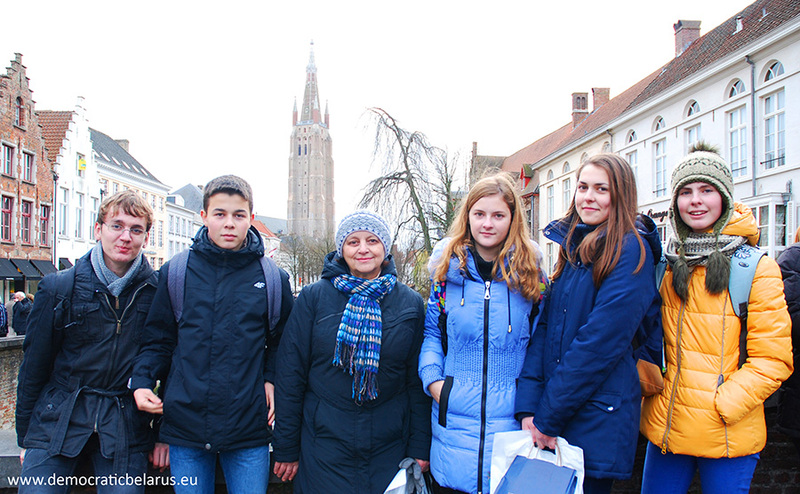 Team of school pupils from Brest, who won the 2012 contest, will be visiting Brussels on the invitation of our Office. The contest has its roots back in 2004 and is built of a series of competition events for high school children where they show knowledge in history, culture and geography of the European continent with Belarus being part of it. Participating teams come from different parts of the country and include each five students and a supervisor.